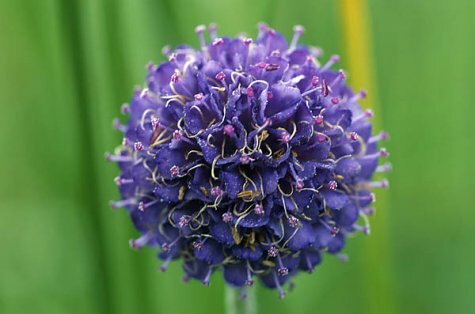 The devil’s-bit scabious has completely entire, grass-green leaves, bare stems, and grows in moist habitats, sometimes actually in mires. 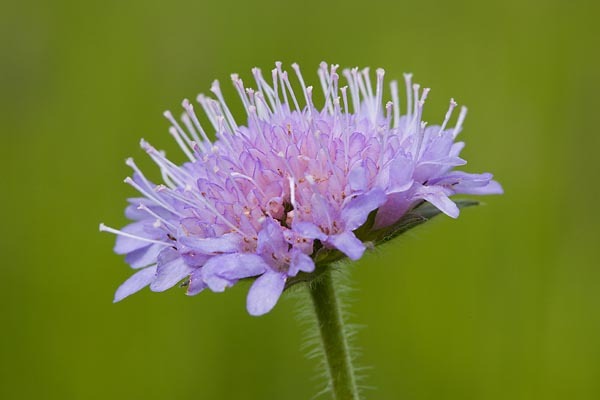 The field scabious has lobed leaves and numerous hairs on the stems. The flowers of the devil’s-bit scabious are bluer, almost without any purple tinges, and the flowers, in rounded heads, are all of the same size. The edge florets of the field scabious are larger. Is that for it to be more easily seen by pollinators? Both are good honey plants.